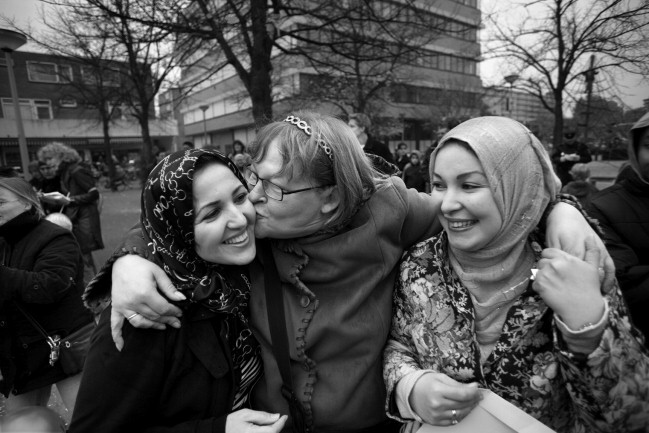 AMSTERDAM – Amsterdam Employers have more than five hundred jobs for immigrant women. This allowed Councillor F.Huffnagel of Economic Affairs Know Wednesday during a visit by the committee PaVEM (Participation of Women from Ethnic Minorities) to the city. Among the participating employers include the city itself, the Royal Army, Lloyd Hotel, McDonald’s, Randstad and TPG Post. During the visit including committee chairman P. Rosenmöller and Princess Máxima Huffnagel gave an overview of all the efforts of the municipality to the position of migrant women to strengthen.